A Room With A View has more than 20 years of experience in the installation, restoration and replacement of windows and conservatories. Our bespoke services are tailored to your exact requirements, whether you need aluminium secondary glazing for a property in Dorking, replacement windows for your home in Reigate or double glazing elsewhere in the Surrey region. We offer our comprehensive list of services across Surrey, including the areas listed below. To arrange a free site visit and quotation do not hesitate to give us a call. 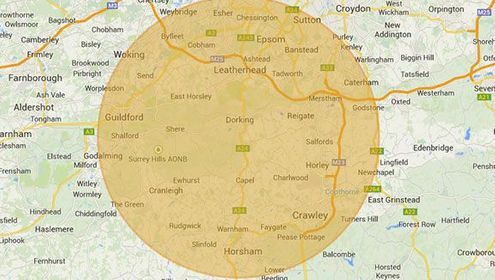 Contact us now, in Dorking, Surrey, to acquire more information about the areas covered by our glazing company.